Daniel Eubanks has been identified as the man who robbed a Sunoco gas station near Tampa and struggled with the clerk for a baseball bat. TAMPA, Fla. - A gas station robber was stabbed by a clerk at a Florida gas station during a struggle for a baseball bat. The incident was caught on surveillance video early Sunday morning at a Sunoco station near Tampa. 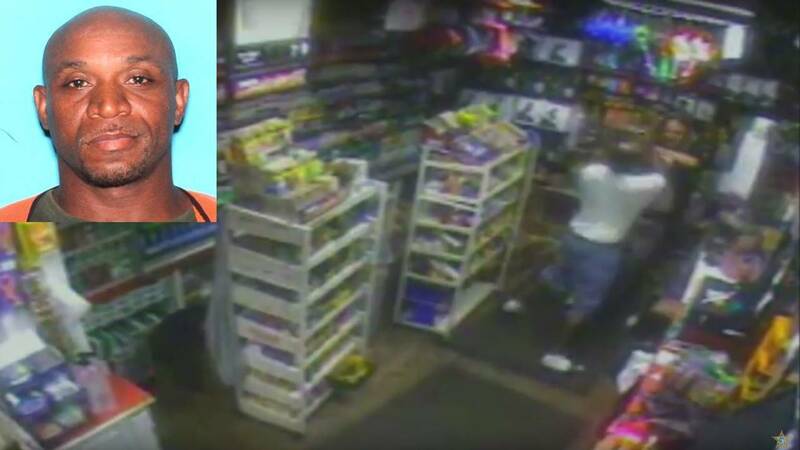 Hillsborough County Sheriff's Office deputies said the suspect, who has since been identified as Daniel Eubanks, entered the store and fought with the clerk for a baseball bat that was behind the counter. Deputies said Eubanks was stabbed in the abdomen after he overpowered the clerk and removed the bat. Both men continued to struggle until the clerk ran outside and alerted nearby deputies. Deputies said Eubanks took a brown paper bag full of cash from behind the counter and ran out of the gas station. Detectives said a warrant for Eubanks' arrest was issued.